It’s hard to believe that Christmas is around the corner! Amidst all the hustle and bustle of the season, I’m excited for time with family. Of course, I naturally gravitate to the kitchen any time of year, but I especially love celebrating holidays serving food to those that I love. And I have plenty of opportunities for meals in the near future! 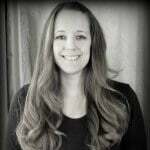 Which is just fine by me — I have lots of traditional family favorites I want to create and serve, plus some new recipes to try out. We have a lot of activities on our docket: school events, work holiday parties plus family get togethers. So there are evenings at home where I’m glad to be snuggled in with my guys and a comforting meal. One dish meals are everything to me on those nights at home. 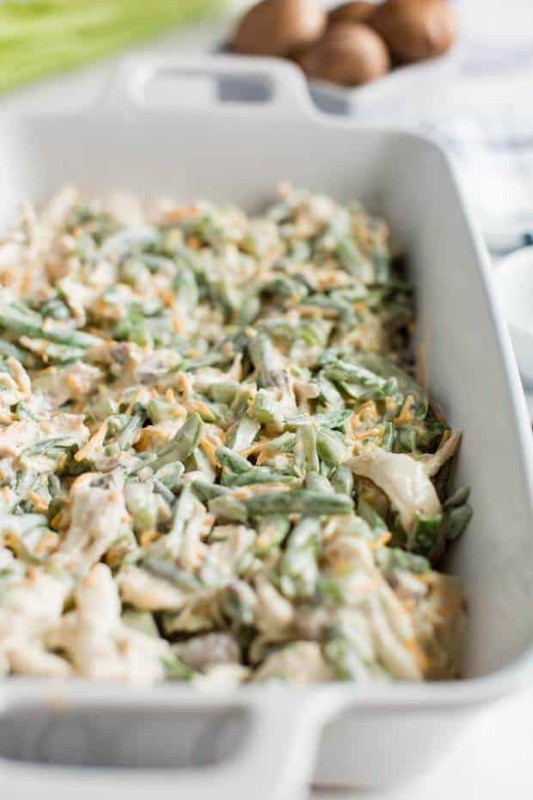 This green bean and chicken casserole is the perfect meal for those nights: it’s hearty and filling and so delicious. 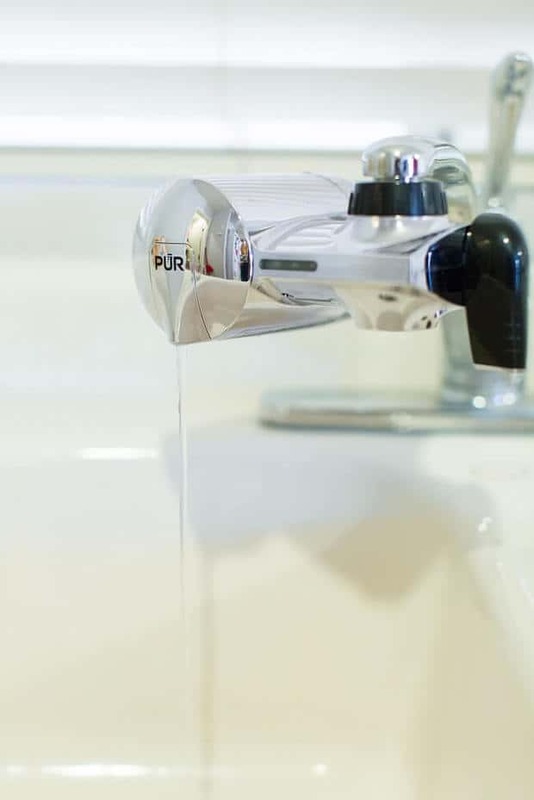 Something I’ve recently added to my kitchen is a PUR Advanced Faucet Filtration System. The water in my city is less than desirable. 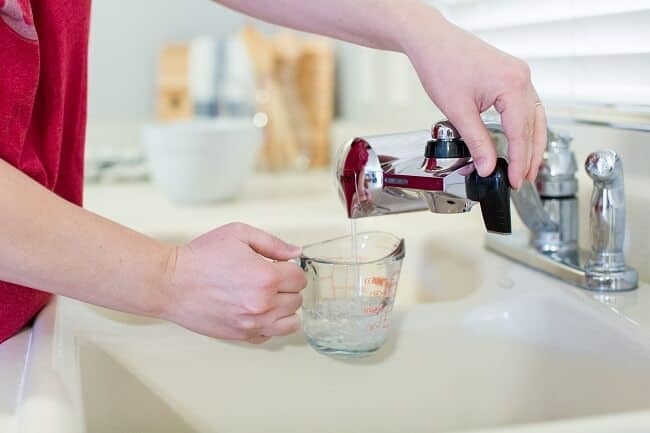 I realized it was having an effect on the quality of the meals I was serving my family — beyond just our drinking water. 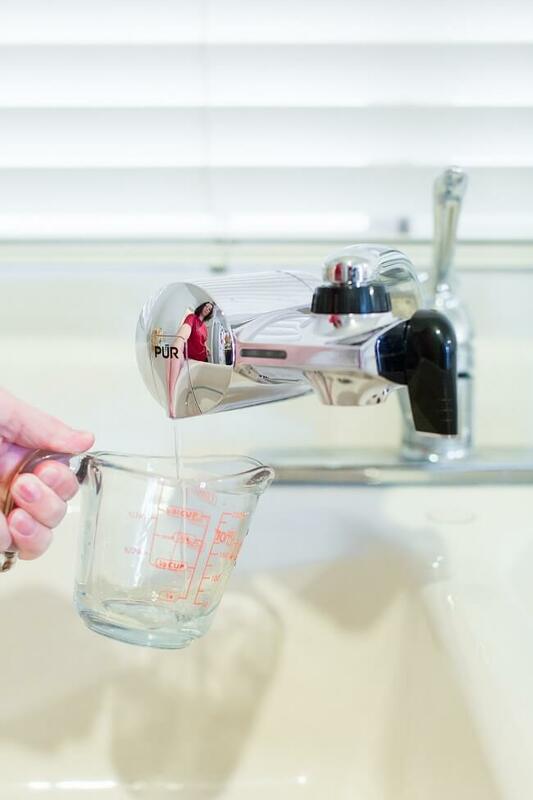 Think about all the ways we use water in the kitchen: for sauces, to rinse veggies, to boil for pasta, for coffee. That water is everywhere. I want it to be quality! 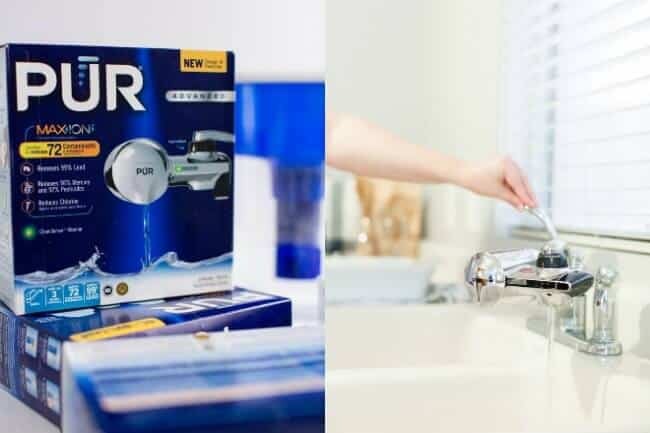 I can trust PUR because it’s the #1 best selling brand in lead filtration — it is certified to reduce over 70 contaminants, including 99% of lead, 96% of mercury and 92% of certain pesticides — more than any other brand. It’s a superior solution for cleaner water. 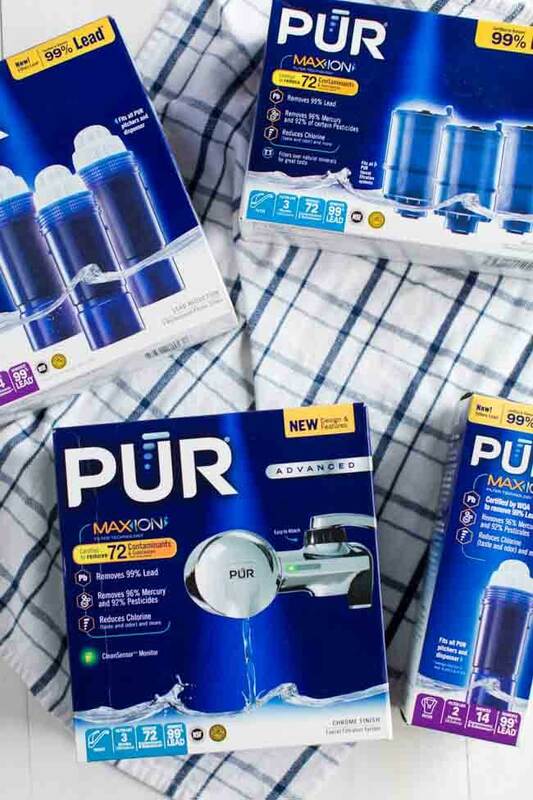 Plus much more convenient and affordable than bottled water! After hooking up my PUR Advanced Faucet Filtration System, this is one of the first recipes I made. I know your family will love it as much as mine does! I love that everything is combined in one dish for this meal. And then you add cheese on top. And really. Could it get any better? Nope. 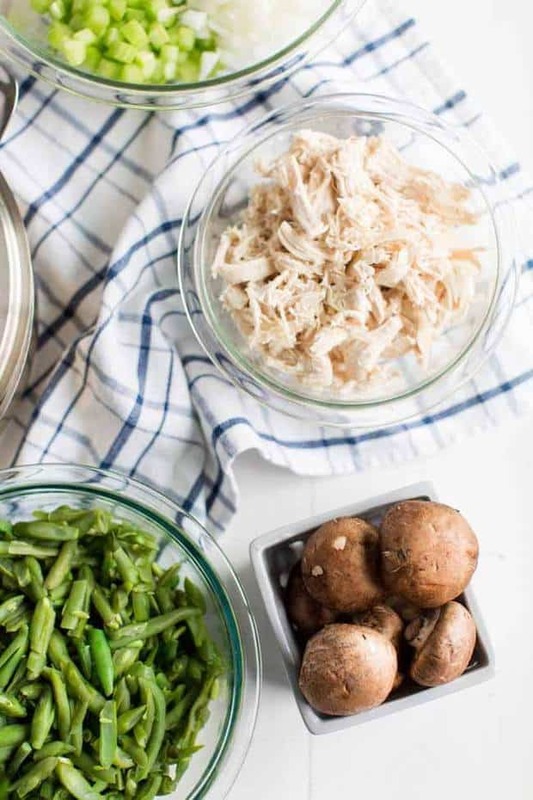 Your next evening home, make this delicious, simple meal — your family’s bellies and hearts will be happy! 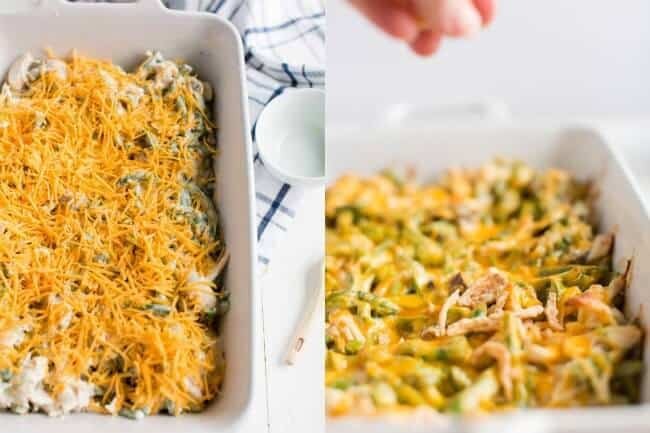 Your next evening home, make this delicious, simple Creamy Cheesy Chicken and Green Bean Casserole meal -- your family's bellies and hearts will be happy! Cook green beans per package directions. Drain water and set aside. 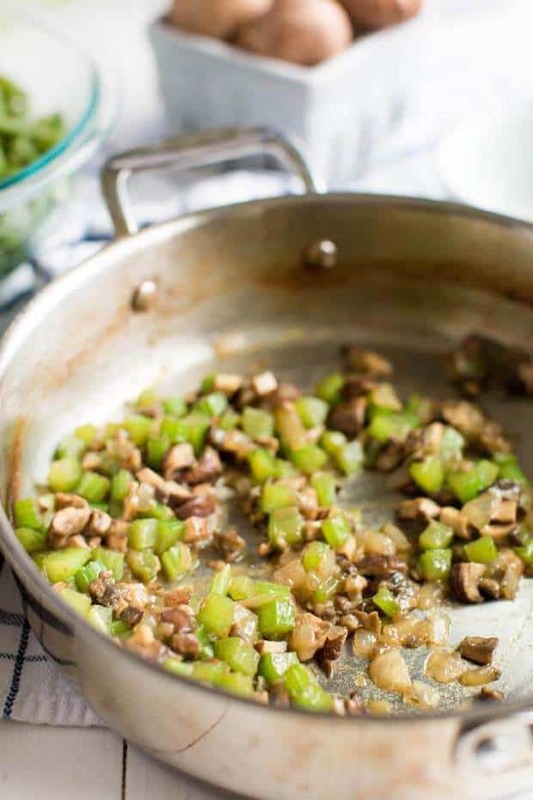 In a large skillet add your butter, celery, onion, mushrooms, chicken bouillon cubes, and ¼ cup water. Cook until onions and celery and soft and the liquid has cooked off. In a large bowl combine your heavy cream, spices, mayonnaise and whisk together. 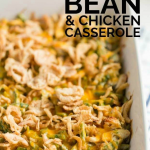 Add your onion mixture, chicken, green beans, ½ of your cheese and stir well. 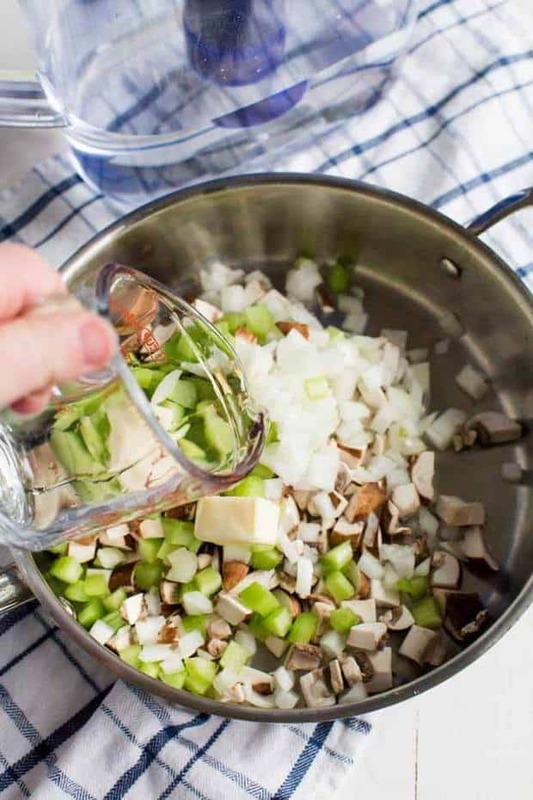 Pour into a 9×13 casserole dish. Spread out your mixture evenly. Sprinkle the other half of your shredded cheddar cheese and place in a pre-heated 400° oven. 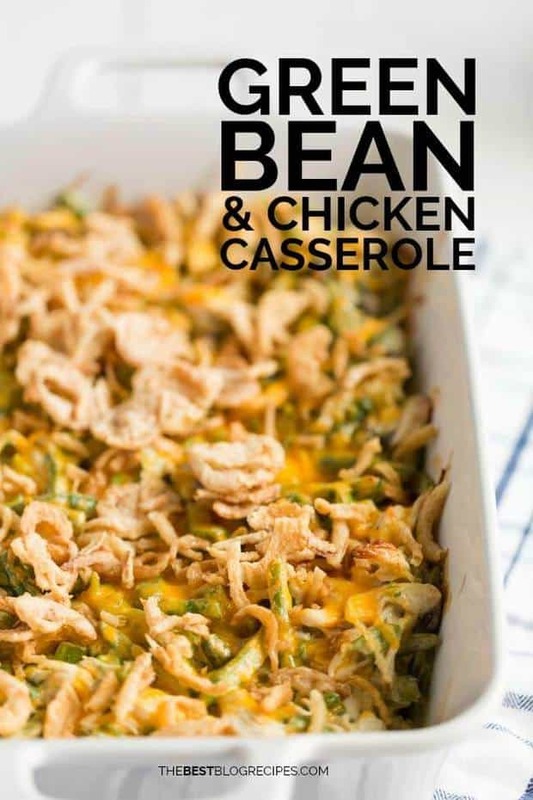 Cook for 18-20 minutes or until the casserole is bubbling in the middle. Remove from the oven and sprinkle your Crispy Onions over the top.